What is the medium used #116 to #125? Is it ink or watercolor? Have you used salt on some of them? They are very vibrant and remind me of sliced geodes. 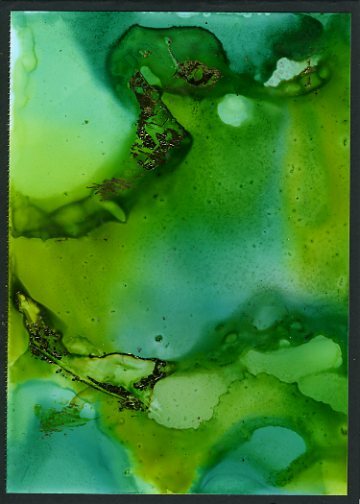 Hi – These are alcohol ink on Yupo Paper. I also used gold foil on some of them, two have holographic silver foil. No salt on these. Thanks for the compliments; they do look like geodes.